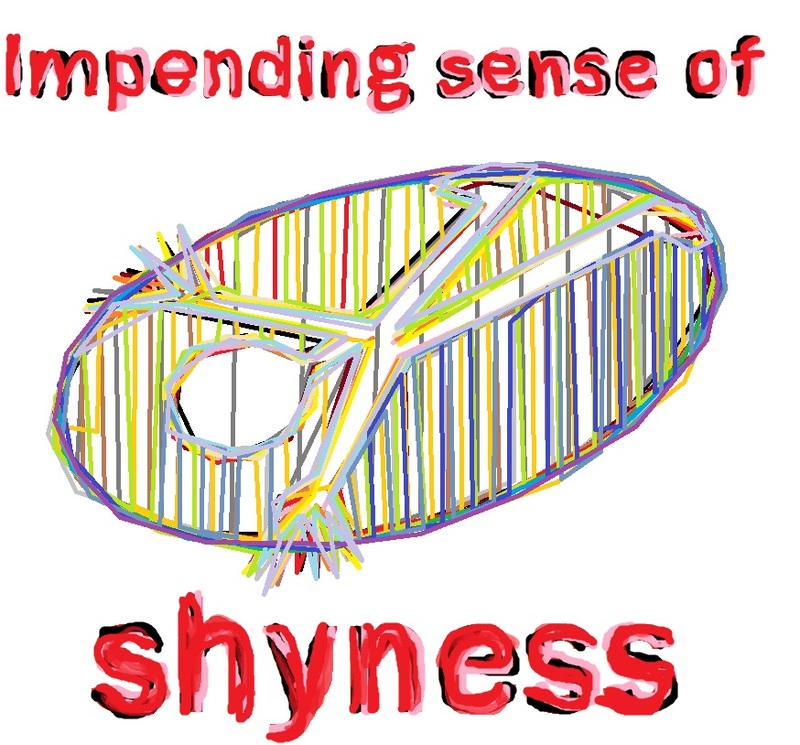 The other week I wrote a post about how shyness led me to being more innovative, this time I would like to focus more on how it affects the rest of my life. It is a sad truth that there is much I have failed to purchase through a fear of engaging with shop staff, and while this has undoubtedly saved me much cash from casual spending, leaving me a richer man financially, it has meant that I have sacrificed a lot of the pleasure that I could have afforded myself. And now, I fear, I recognize that I am far from being alone in the debilitating world of mine. If I staggered out of a bar every morning, drunk, at some point someone would likely point me in the direction of some kind of rehabilitation group, once and if I could admit that there was a problem. To think, I could have been a hardened or dead criminal by now, stealing money to pay for my next session and, maybe, laundry. find it interesting that it is so easy to see the positive side of the way that I am now, and that, I fear, is also part of the problem. When I look back to my education days, not to wipe a tear away for some kind of lost youth or the ill-found nostalgia for an earlier age, I see that it was patchy, or at least my education was. There were occasions when I excelled, and others where I was unable to proceed, and this has continued into my work years. I am thankful for my mum helping me to learn to read, the teachers and, on one occasion, the headmaster who individually prepared a small group of the losers such as I to get past certain exams. I have no idea what prevented my cohorts of the time from progressing, I just lacked direction and a confidante. The problem seems to be that what began as shyness has long since spread out to include a lack of will power for other tasks: not a total lack, for there are always parts of my life where I crack the whip hard, but without someone else there to take part in what I do then what I am most likely to choose is to escape. Many of the managers and teachers I have met since parting with my schools, and other people as well, have their vision of the universe as being the right one and the only one. You can see their simple cluelessness in their faces and in their actions when they look at me: I am sober, intelligent even, so why do I not progress? Pointing to books I should learn from, people I should mimic helps not one whit; that is their vision and it does not function in my world. So why do I not change, conform? Because I am shy and seeking the help I need is to find a door that seems not to exist, or that I am too afraid to find, and the reason it is so hard to find is that, unlike when I am drunk, I am not a social hazard and people like me don’t get together to solve our problem. Well, how are we supposed to get together, no, do not even begin to answer that. We have a lifetime’s experience in people telling us how we should solve our problems, sometimes kindly and sometimes not, but it means nothing because we have barriers blocking that path. We all have barriers, everyone of us, but in different places, and while I have no problem taking all my clothes off in public it is surprising how scared the people telling you how to change your life get when you suggest that they remove their clothes in public. You might be wondering how I can have the courage to remove my clothes, and it would be a good question, and the answer is simple and quite understandable: by removing my clothes I am not actually interacting with anyone, so the shyness cannot be triggered. So, by barrier I do not mean something that you merely lack confidence in doing because you are not sure how to do it or whether you can. You may once have lacked enough confidence to ride a bicycle, then later you learn and any residual fear goes away. Then there are those things where the fear never goes away no matter how many times you are trained or you try to conquer it, such as a fear of heights. Since we all have our barriers, unless you can overcome your own such barrier, you are not really in a position to ‘educate’ people with a different barrier in how they should overcome it. I have my wife to thank for many of the things that I do now, for the simple process of sharing an activity with someone you feel is not judging you can help you participate, and if she can get me into a bar for a few drinks then things get even easier. On the other hand, being shown or reminded of the targets I need to achieve actually increases my shyness, because now instead of being shown companionship in the journey, I am now being shown rejection. In light of this, my education was always more rapid when I had a companion in my task or I discovered a secondary pleasure in achieving the task, worst when I felt no companionship at all. Laziness is only apparent on the surface, for I am always fully occupied. If that effort is not being directed particularly to the task in hand, then I am escaping, and no amount of whipping and preaching will bring me back in line because experience has already taught me that there are always other opportunities out there. It is something that people like me seem to learn very early. The key to success is engagement at my level, and not setting me a task, wandering off and expecting me to progress, for not only have I figured out that there are other opportunities out there, I also can calculate well the latest time I could possibly start a task, and it is well beyond what most people expect. So, I dedicate this text, and the image I produced for it, to all those out there unable to achieve what other people want us to achieve. We are what we are, and our world is part of everyone else’s, even if no one wants to admit it. I believe that one of the most terrible things that we can do to each other is not to understand what we each need. I, for example, have always tended towards that habit of leaving things not done, then trying to fix things at the last minute. That is bad, in many people’s books, criminal in others, rather like my tendency to spend a friday night in a bar drinking beer rather than doing something constructive. I am irretrievably lazy. 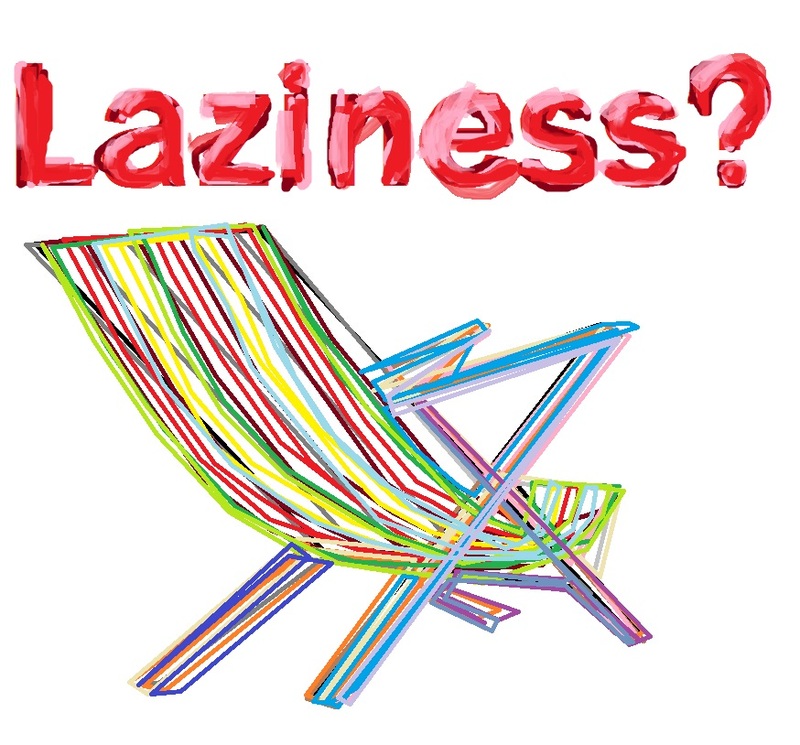 But is laziness, or ‘delayed response’ as I languidly prefer to call it, necessarily bad? Has all that swilling turned me into an underperformer at the trough of life? Does society even need the socially pungent at its table, forever forgetting to keep its trotters in its lap, on top of its napkin, or sliding its cutlery to the twenty past four position at the appropriate moment? As a shy lad I was usually last to hand in my homework, possibly last to even do it, although sensible enough to regularly create situations where I must confront my social problem so that I do not finally shrivel away in a house or apartment alone, dieing and being eaten by rats. In much the same way I joined the Mountaineering Club while at university in order to confront my fear of heights. Or my shyness of heights, as I also like to describe it. Shyness means that if there is a situation where I have to go see someone, I will delay doing so until I can no longer avoid it or the need for it disappears. So we could say that my apparent laziness is really a response to my shyness, hence my use of ‘delayed response’. My wife, bless her, is much different, she is a planner-actioner, she gets things done, and will even change channels on the TV 15 minutes prior to the start of a program that she wishes to see so in order not to miss it (so I miss the last 5 minutes of my program and get to see 10 minutes of advertising on her chosen channel instead of mine). She is wonderful, but not so innovative. Consider the situation: we each need to write a 500 word assessment. She will write hers ahead of time, based on what is known, having plenty of time to plan and check references, go to the library, search the internet and pump her acquaintances for the low down on this type of test. I, on the trotter, will wait until the last moment, well past any opportunity to gather suitable materials, forcing myself to be inventive and draw on any resource that is to trotter – but my brain will have to light up like a Christmas tree (or whatever) and burn some essential energy very rapidly. Do you see the difference? If we are the kind of person who is rarely late, then on those occasions we are then we will quite possibly produce something that is visibly hacked together, or is lacking somewhere. If, on the other hand, we spend our life stepping from one crisis to another, we should start to get skilled at producing something worthwhile from apparently very little. A minimalistic, hermetic response that optimizes what we possess. If we took a course in doing the long jump, then would this make us athletes? If we took a course in beer tasting, would this make us a suitable candidate for a job at professional brewery? Sadly, no, our body and mind take time and effort to become expert, including the ability to understand what is successful behaviour and what is not. Conversely, if we do put long term effort into something, then we should reap some changes. OK, not always profitable changes, such as what we might achieve slumped every night in front of the television, but does this mean that if we design an education system to suit a certain kind of mind then we might be missing the creation of benefits that could accrue from training minds in other ways? Whatever, I wish I had considered all this decades ago. Imagine you are down at your favorite haunt, and some idiot manages to set light to the table next to you, and assuming that you have not been trained for just this kind of incident, what would you do? Too late, decision time is over, if you stopped to think, by now I would be already at the bar asking, hopefully, for a refill. Muscle fiber types can be broken down into two main types: slow twitch (Type I) muscle fibers and fast twitch (Type II) muscle fibers. Type II fibers can subsequently be broken down into two types: type IIA, which is referred to as “fast twitch oxidative glycolytic”, and type IIX, which is referred to as “fast twitch glycolytic”. Type I fibers are characterized by low force/power/speed production and high endurance, Type IIX fibers are characterized by high force/power/speed production and low endurance, while Type IIA fall in between the two. Fast twitch and slow twitch brains, one type functioning optimally in sprint environments and the other in marathons? In which case my wife has the marathon sort – having had only the one job and gaining all the necessary qualifications, while I have the sprint type – having had many jobs and a series of more minor qualifications from a broader range of subjects. In summary, if you see someone lazing in the sun with a beer in their hand, they may still be doing constructive, training their mind to relax and recuperate before the next time it needs to be engaged under pressure. Or they could be getting plain-old drunk. Who knows.